Interactive and user-friendly. Tried, tested and legally compliant. Flexible payment options. Save time and money with Realworks, the online agreements and forms product designed to make everyday business easier for you. Integrated with CRMs. And a completely open API for third party Developers. Save time. Designed with you in mind. 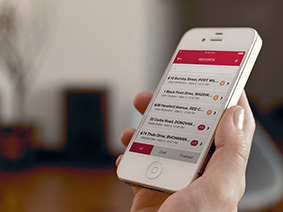 Enter your data once and let Realworks do the heavy lifting. "I just want to create a form/agreement quickly!" Just want a fast, easy and pain-free way to create an agreement/form? Realworks is built around the KISS (Keep It Simple...) principle. Realworks is cloud-based and can run on any device, all you need is a modern web browser! "I need to send a form to a client who’s on a Mediterranean cruise." Then send away! (While they sail away). Once signed by the client, the document is automatically emailed back to you. You can even keep track of when (and how long) the document was opened. The process is totally secure, fully compliant and legal. 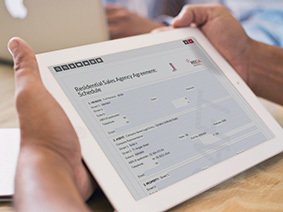 This Electronic Signature Technology is super-convenient for you and your clients – now they can buy or sell their house while sipping cocktails on the Lido deck. Please note: Depending on legislation, not all forms will be enabled with DocuSign. In these cases, a remote signature will not be possible. "How do I know these forms are compliant?" Our forms are kept up-to-date with the latest legislation changes in their respective states. If there is a legislation change tomorrow, your draft forms and agreements will be automatically updated for you! "OK, but I want my Agency's logo on the forms." We agree! 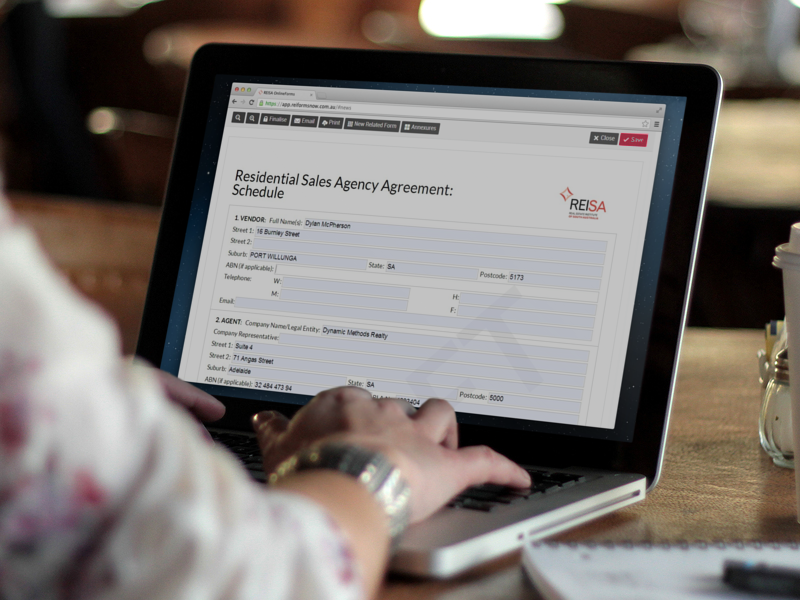 For Accredited Agencies, every form contains your Agency's logo and the Real Estate Institute's logo to give peace of mind to your vendor/landlord/purchaser/tenant. "I bet you only cater for sales forms. What about residential/ commercial/ rural leasing?" "Can I add photos to my inspection reports?" "How secure is the cloud though?" We store all data within Australia. We are an Australian owned and operated company. And we use the latest 128-bit SSL encryption (the same as your online banking!) for Realworks. "What if I have a problem. Who will I be talking to?" We pride ourselves on our technical support team. You have two levels of support with Realworks. The first level is from your local REI, they will help you with any questions you have about forms, agreements and content. When you call for technical support, you are talking directly with the development team (in Adelaide, South Australia) who created Realworks. We enjoy talking with our customers! "I use a real estate CRM application. Does it integrate with Realworks?" "I've got an IT team, can they integrate our CRM with Realworks?" Absolutely. We actually created an open Developer API for this exact purpose. Any third party developer can create products/services around Realworks if they wish. 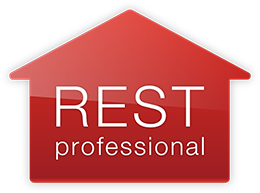 Developers, please check out: https://developer.realworks.com.au. "We like to modify the agreements with our own clauses/ annexures/ attachments." That's perfect for us. We have features that allow you to modify standard agreements to meet various scenarios. You can add your own clauses, annexures and PDF attachments if you like! "I'm a Principal of my Agency. What control do I have over my forms?" All Agency Principals have complete control over the users within their Agency. If an employee leaves the company, you can instantly remove Realworks access from their account as well. The 'Pay per form' option is a quarterly subscription fee with additional fees for individual forms used. To view pay per form prices, click here. Payment for Realworks can only be made within Realworks via a credit card. *Limited to one geographical location. Prices are GST Inclusive. Multiple offices - Each REIQ Accredited Branch office of the original contracting entity can subscribe to unlimited forms using Option 2 - 'Pay per form' option ($55 per quarter as above). If your office already uses Realworks please contact your office Realworks administrator to have your individual user login created. To Subscribe please complete the required fields below and click "Submit" and a Realworks team member will contact you shortly.